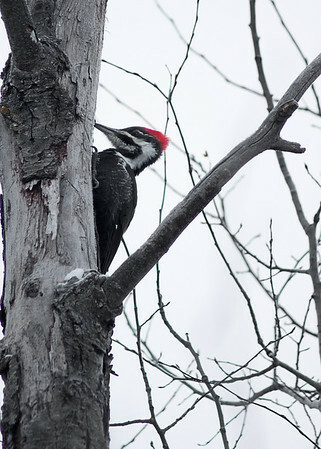 A winter visitor to our trees. Haven't seen one of these in a long time. Nice job. Great shot...perfect timing.....well seen! Don't worry, I read somewhere long ago that when an old tree falls; so does the woodpecker (smile).